Christmas is just around the corner, and I've been very busy making Christmas nail art tutorials! Assuming everything goes to plan, this post will publish at the same time as my last video, so they should all be available for you to view. The first design I did this year was this Christmas tree squiggle design, and I actually did it twice in the end. The first time was just for fun, but I liked it so much I re-did it for a tutorial! You can watch that here. 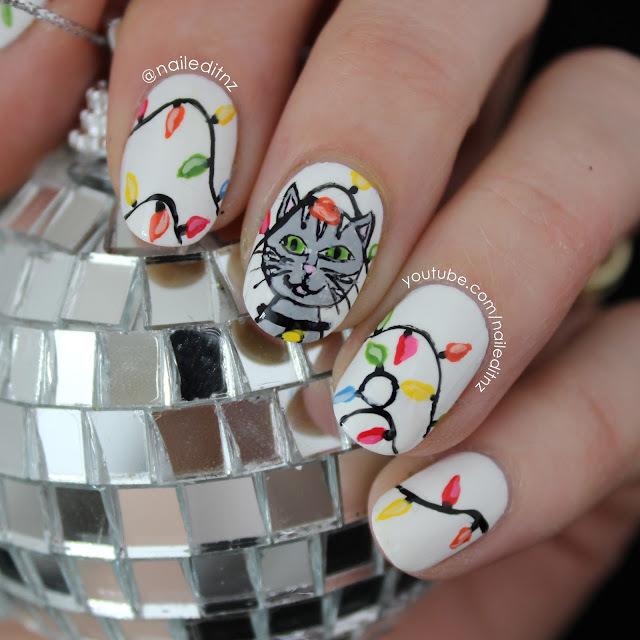 The next Christmas nail art I did was this cat tangled in Christmas lights design. There's a bit of a story behind this one, including a huge waste of time, but that will be saved for my "Nail Fails" video that I'll pop up some time in the new year. Watch this video here. Ugly Sweater nail art designs are huge in other parts of the world, but as New Zealand has a Summery Christmas I've never done one before now! I'll definitely be doing this again though. Watch the tutorial here. 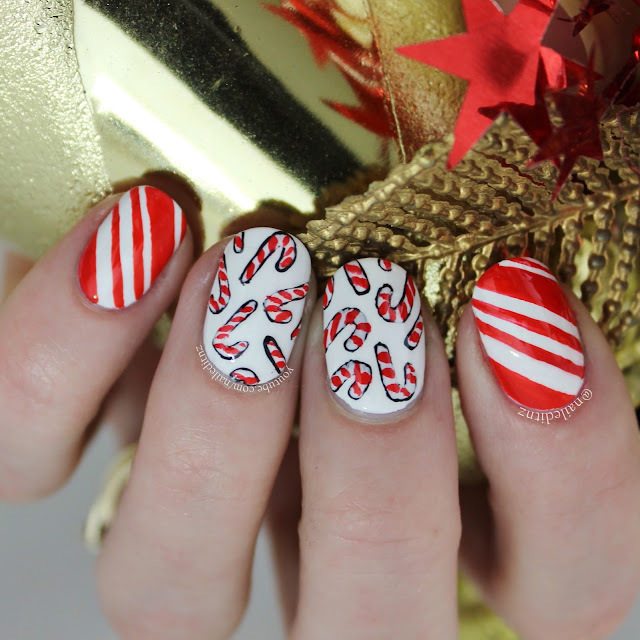 This Candy Cane nail design was probably my favourite out of this year's Christmas tutorials - it's something I've been wanting to do for ages. 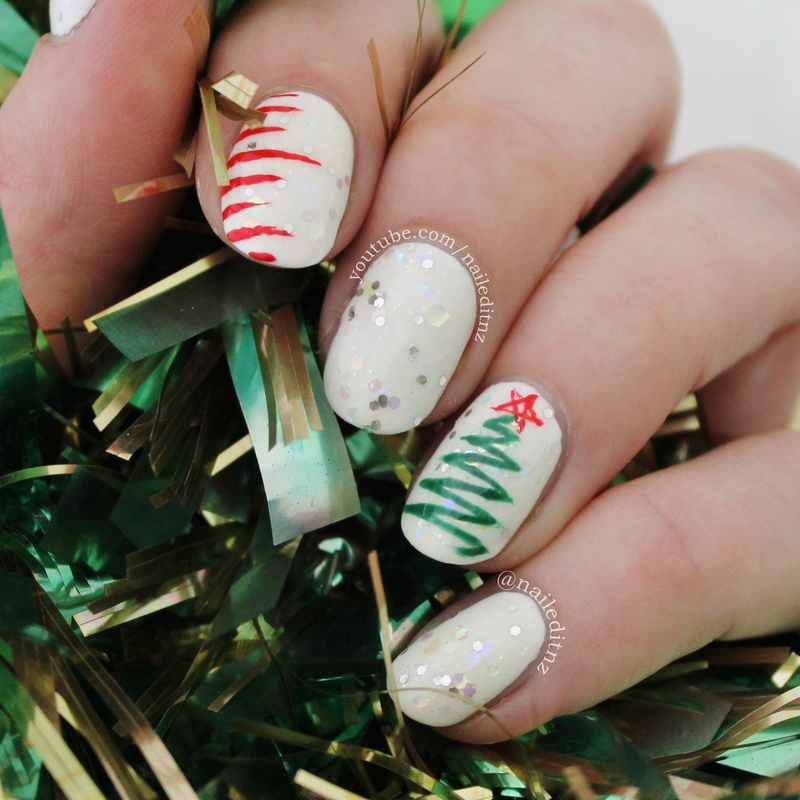 I'm going to be doing my own nails for Christmas tonight and will be re-doing this on one nail of each hand. Watch this tutorial here! 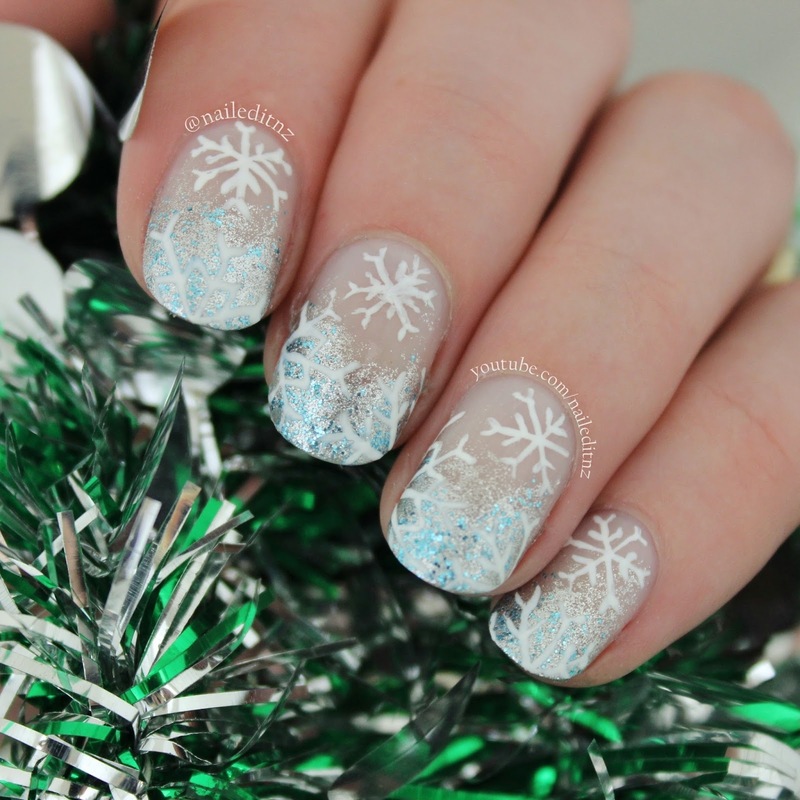 And this is the last Christmas design, but also would suit for New Years or as simply Winter nails. I wore these for a week or so, they're were so lovely and sparkly! You can watch the tutorial for them here. Now if all goes to plan there will be a tutorial for this last one embedded as well, but it's not working on my end right now as the video is unpublished at the time of writing this. I'll try to remember to come back and check later! I hope you all have a wonderful Christmas and New Year! You can find all of my nail art tutorials over on my YouTube channel ☺. 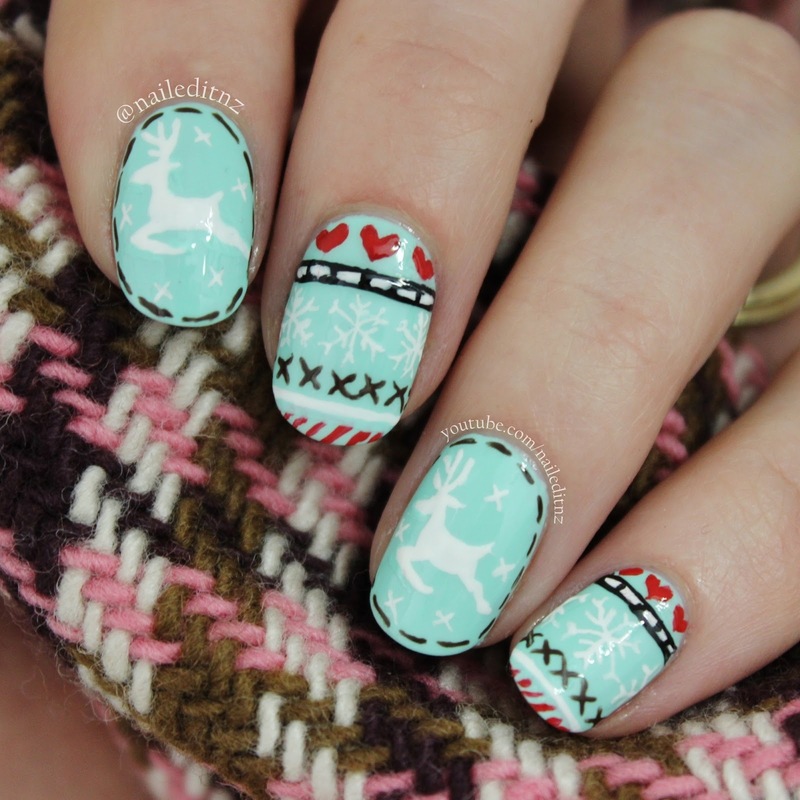 Some cute and festive holiday nails!